As a fashion student, sometimes being in a world that is ever-changing and bursting out with new creativeness can subsequently lead to there being a barrier between mixing culture and couture. 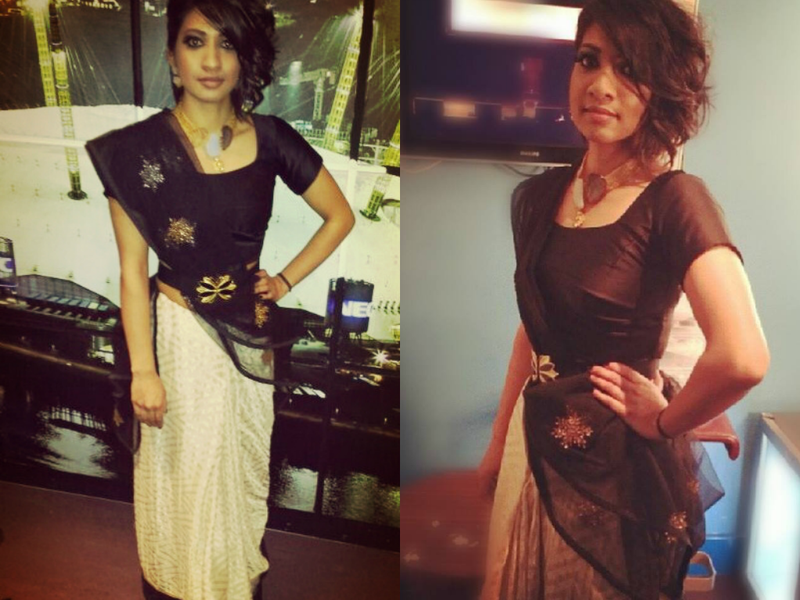 However after modelling at the Mega Maalai fashion show, I encountered an amazing experience, modelling bespoke sarees. 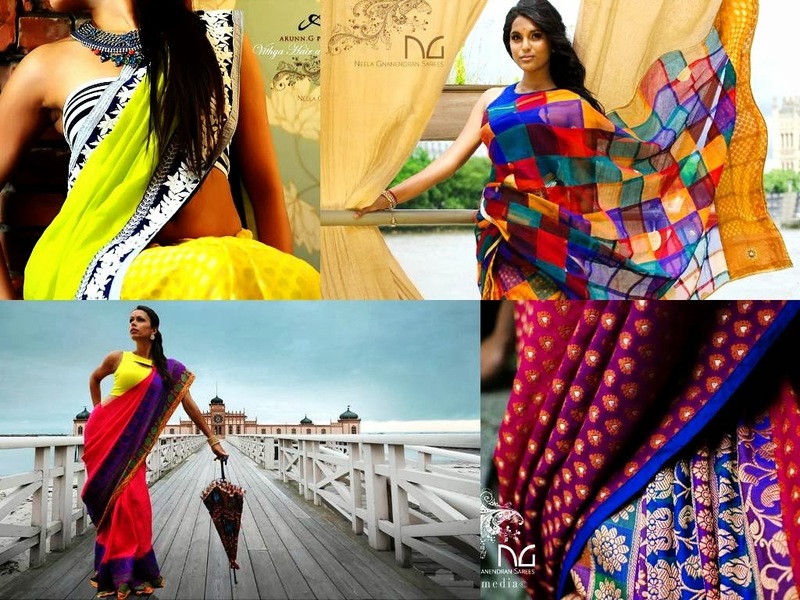 Neela Gnanendran creates bespoke luxurious sarees, her collections are diverse ranging from different pure fabrics and colour schemes.Her inspiration is gathered from different cultures infused with modern day fashion trends. For Designers such as Neela, who combine culture and fashion into their designs, it is key to experience culture from its roots, hence why travelling to India set off a whirlwind of inspiration for her Shatabdi collection. The collection showcased at Mega Maalai was inspired by Neelas first train journey through India, called Shatabdi. 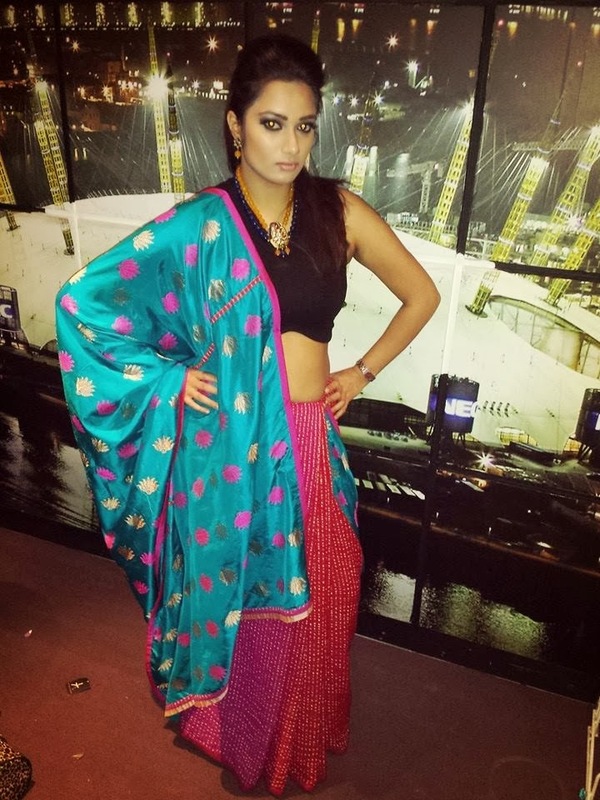 Travelling from city to city, enabled Neela to source the luxe fabrics to make a beautiful sari. Her inspiration behind the collection reflects the people, art and culture of the country. 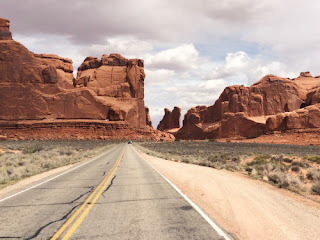 From speaking to Neela she explained how this journey was pinnacle to her, there were nerves and excitement during her 6 hour ride about in India on what she was about to embark on. 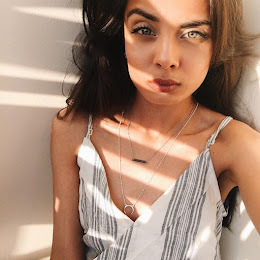 I believe fashion is a form of art, therefore creating designs for aesthetic state will only get you so far, Neela has inspiration and stories behind each piece within this collection, it’s great to see culture behind her works of art. It’s undeniable the amount of effort and time which was put into each sari. Her hard work has paid of by being not just only an amazing designer but an inspiration to fellow designers around the world. The theme of this fashion show was "empowered women" therefore by collaborating with NG sarees and using the Shatabdi collection alongside the styling team decided to provide a western twist by wearing leather, sheer and lace blouses to complement the colourful sarees. This sari is eye catching, due to the mystical illusion patterns infused by using 3 tonal colour effects of blue, purple and pink. Although these colours are quite feminine, by styling it with black crop top and a leather jacket provides a Gothic essence to this outfit. 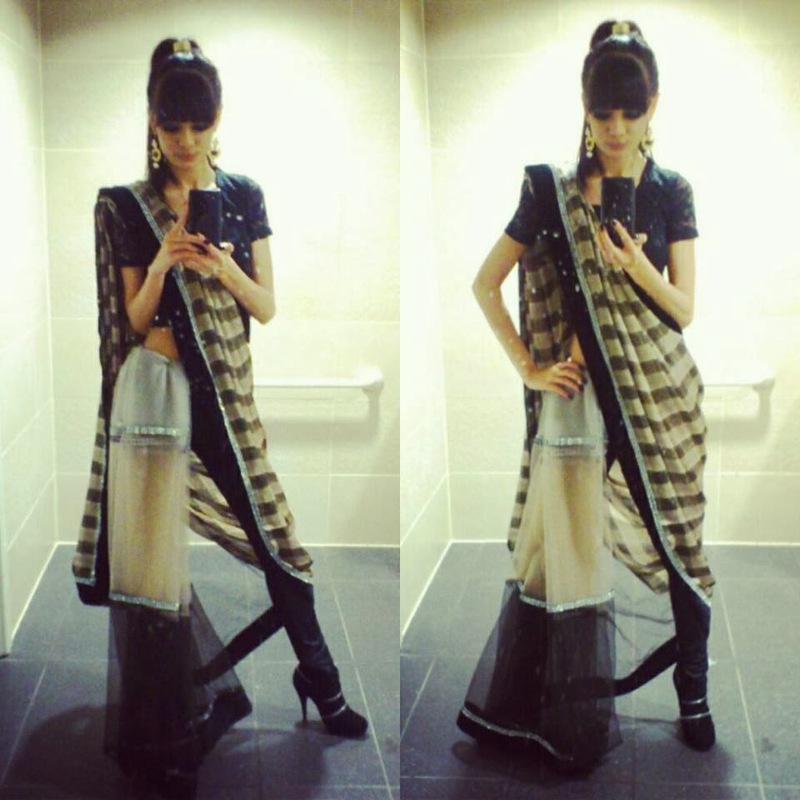 This look is unique because within Asian society its very rare to see girls wear black with saris, however this outfit shows that wearing black enhances the appearance and colours of the sari. Model Sinthu was the women: "pretty in pink", the head choreo of Mega Maalai's 2014 fashion show strutted as the ultimate empowered woman of the night. 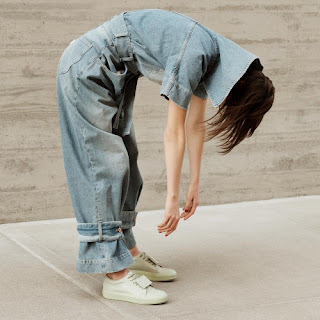 Although the colours are quite girly, again matching it with a black leather crop top, edges the look out to be more fashionable and runway ready. Overall the outfit was styled and switched up to create a dynamic statement. 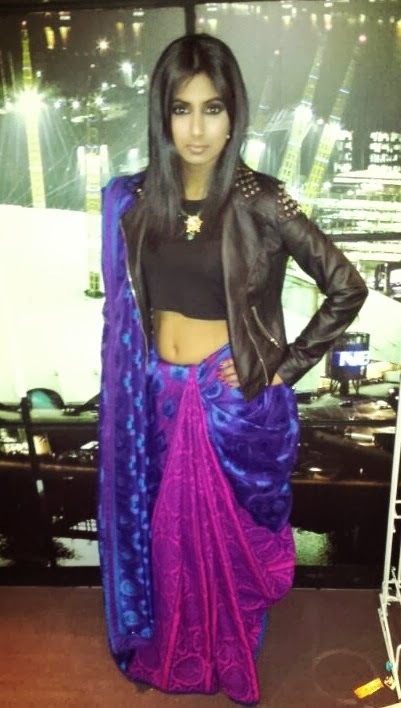 The art of fusion, I love the look I got to model, pairing leggings with a saree was utter genius! Kudos Neela! (Never have to worry about tripping on my underskirt anymore!). As we all know I love wearing black so when I got shown this outfit, it won over my heart. Firstly, I am fascinated how this sari is infused with a multitude of fabrics such as : velvet, satin and net. My favourite part of this sari is the net, when styled it was pinned to my leggings to create a mermaid frill at the bottom, providing a couture fusion twist. Alongside I got to pair it with a lace crop top. I like that there isn't too much detailing with embroidery on this piece, as the differentiation of fabrics is a design in its own, by edging out the pieces with diamante trim provides an Asian vibe to the outfit. Sheer fabrics always look pretty! Even within sarees, I love this peplum-styled saree modelled by Inthu, it’s not only unique in design concepts of embroidered patterns onto the sheer fabrics, but also amazing thought went into the styling, from rocker chic hairstyle to belting at the waist to provide a feminine proportion to the sari. Blue and pink are redeemed to be cliche sari colours, however the design aesthetics of this sari are unique, by draping this piece of the arms shows of the amazing embroidery design of lotus motifs on the silk fabric. It must have been quite a tricky job to get that done, however the attention to detail on this piece is effortless.